Do you remember 1991? Bush and Quayle were in the White House and the Soviet Union was breaking up. Dances with Wolves was in theaters and Nirvana was bringing Grunge to the masses. In northern California, we started making window shades. We noticed that there wasn’t a lot to choose from between taping up newspaper over your window, or spending a lot of time and money on blinds. So we created a smart, simple paper shade that needed no tools to install and was up within minutes. 25 years later we are still making this same innovative solution. Our Redi Shade product family has continued to grow and today we offer even more smart choices -all with that same simple genius. Many of us who started back in 1991 are still here at the Redi Shade factory in California. We love our jobs and take pride in making window treatments that work in any situation. From bare windows in a new home, to privacy and UV protection, a better night’s sleep or a new look-we’ve got you covered. Tell us about your experience with our products or our company. Temporary to fully custom. Paper to artisan fabric. Quick fix to fashionable fixture. 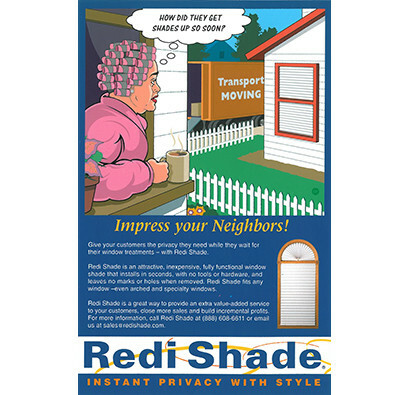 Redi Shade helps you make the smartest choice for your window coverings by providing a full range of high-quality options — all with a no-tools approach to installation. 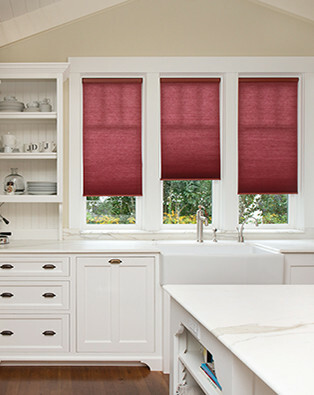 For over 25 years Redi Shade has been making paper shades in the heart of Sonoma County, California. Not only do we value being Made in the USA, but we also value supporting our local community. We proudly partner with North Bay Industries a nonprofit that provides jobs to adults with disabilities.